v.	Herod tries to murder the child Jesus. a. When Herod heard from the wise men which came from the east that the King of the Jews was born, he attempted to find him to kill him (Mat 2:1-8). (i)	Who do you suppose inspired Herod to murder Jesus when he was less than two years old? (ii)	Remember that Satan is a murderer (Joh 8:44). (iii)	God thwarted the Devil's attempt by warning the wise men to not return to Herod (Mat 2:12). (iv)	Another battle was lost by the serpent. b. Finding out that he had been mocked by the wise men, Herod issues a genocidal decree to slay all the children in Bethlehem two years and under (Mat 2:16). (i)	Who do you suppose inspired Herod to murder hundreds of little children in an attempt to kill the Messiah? (iii)	God frustrated the Devil's attempt by warning Joseph in a dream to flee with Mary and Jesus into Egypt until the death of Herod (Mat 2:13-15). (iv)	Another battle was lost by Satan. vi. Satan personally tempts Jesus to try to get Him to sin. a. After Jesus' baptism when God publicly declared that Jesus was His Son (Mat 3:16-17), the Devil conducted a full-on assault to destroy Him. (i)	New converts should beware that Satan will do the same thing to them after they are baptized (Heb 10:32-33). (ii)	Jesus knows what it feels like, and He will help young Christians through those times (Heb 2:18). b.	Satan knew that the wages of sin is death (Gen 2:17 c/w Rom 6:23). c.	If the devil could just get Jesus to sin, God would have to punish Him with death. d.	Satan waited until Christ was in a weakened condition, having just fasted for forty days and forty nights (Mat 4:1-2). 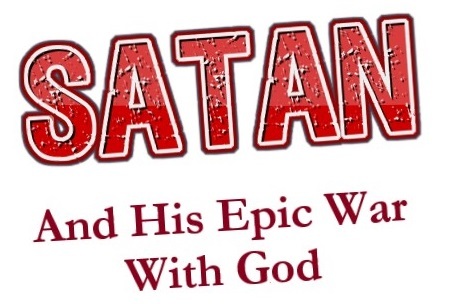 (i)	Satan begins with his oldest trick in the book: questioning the word of God (Gen 3:1; Mat 4:3). (ii)	God had just declared that Jesus was His Son (Mat 3:17), so Satan begins the temptation by trying to get Christ to question the word of God by saying "If thou be the Son of God." (iii)	As a man, it would have been enticing for Jesus to prove the word of God to be true by making stones into bread. (iv)	But if Jesus would have done that, He would have conceded to the Devil that the word of God is not sufficient to know the truth. (v)	Jesus ignored Satan's suggestion and rebuked him by quoting the scripture to him (Mat 4:4 c/w Deut 8:3). (vi)	Jesus won round one, but the Devil is not finished yet. (i)	Next, Satan takes Jesus and sets Him on a pinnacle of the temple (Mat 4:5). (ii)	He tries his same old trick of questioning the word of God and denying that Jesus is the Son of God, but this time with an additional angle (Mat 4:6). (iii)	Satan knew that Jesus knew the scriptures, so he employed the tactic that he later taught to the Jesuits called "learning against learning." (iv)	He used Psa 91:11-12 out of context to try to convince Jesus to throw Himself down from the temple and expect to be caught by angels. (v)	Satan has now tried to get Jesus to tempt God by doing something foolish and expecting God to save Him. (vi)	Jesus didn't conclude that quoting scripture doesn't work and resort to human reasoning, but rather just refutes him with the scripture again (Mat 4:7 c/w Deut 6:16). (vii)	The Devil has lost round two, but he is still not finished. (i)	Questioning the word of God has failed twice for Satan, so he tries a different approach. (ii)	This time he tries to appeal to the three weaknesses of human nature: the lust of eyes, the lust of the flesh, and the pride of life (1Jo 2:16) by showing Jesus all the kingdoms of the world and offering them to Him if He would only worship him (Mat 4:8-9). (iii)	Getting Christ to act on lust would have been a sin. (iv)	Getting Christ to worship the Devil to have it would have been a great sin that would have guaranteed His fall. (v)	Jesus rebuked Satan and once again resisted His temptation with the scripture (Mat 4:10 c/w Deut 6:13). (vi)	Satan had been defeated for a third time. h.	Throughout the temptation, Jesus remained steadfast in the faith and sinless, not allowing Satan to destroy Him. i.	Jesus here set forth the pattern for resisting the devil and making him flee from us (Mat 4:11 c/w Jam 4:7 c/w 1Pe 5:8-9). vii. John the Baptist, the forerunner of the Messiah, was imprisoned and later murdered by Herod (Mat 4:12; Mat 14:3-11). a. Who do you suppose inspired Herod to murder John the Baptist? b. Remember that Satan is a murderer (Joh 8:44). c.	John the Baptist announced the coming of the Messiah to the world (Joh 1:23, 29). d.	That good deed would not go unpunished by Satan. viii. The Pharisees try to kill Jesus. a. When trying to personally tempt and destroy Jesus did not work, Satan sent his children (Joh 8:38, 44; Mat 23:33) after Him. b. The Pharisees tried to stone Him (Joh 8:59; Joh 10:31). c.	They tried to take Him (Joh 7:30; Joh 10:39). d.	They tried to throw Him off a cliff (Luk 4:29-30). e.	Not able to kill Jesus, they tried to tempt Him so that God would. (i)	They tried to provoke Him to sin (Luk 11:53-54). (ii)	They were never able to convict Him of sin (Joh 8:46). f.	They tried to get Him to say something that they could use to accuse him in order to have Him put to death, but were unsuccessful (Luk 20:20; Mar 12:13-14). g.	Up to this point all of Satan's attempts to destroy Jesus using wicked men failed.